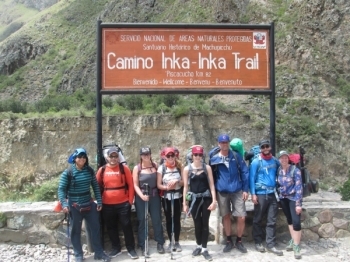 Inca Trail Reservations is a leading adventure travel company in Peru offering memorable itineraries in South America. 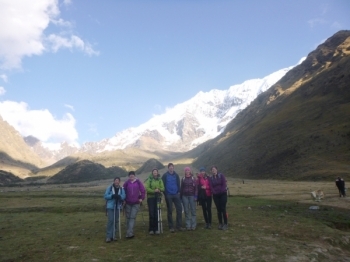 The company has been operating small group adventure travel since 1996. With offices in Cusco and Arequipa, we ensure the best possible service by employing highly qualified, multilingual personnel, combined with our acknowledged professionalism and dedication. We offer the magic destinations our country has to offer, from a desert coastline, to the volcanoes and towering, craggy peaks of the Sierra, to its deep, dense Jungle with innumerable plant and animal species, providing at the same time, the peace of mind our clients require when trusting their trip to us. We design and operate diversified products such as conventional and domestic tourism, adventure and incentive travel and special interest tours. Our challenge is to excel all standards of tourism services, offering the highest possible quality of travel. Our achievements have been made possible thanks to the extraordinary support of our personnel, a well assembled team of permanently trained professionals, identified with our company goals and clients’ preferences. 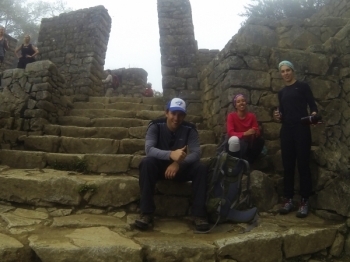 Why Travel with Inca Trail Reservations? 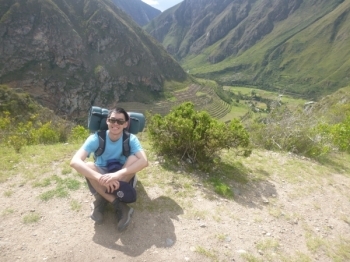 We own our operational base in Cusco, the gateway to Machu Picchu. This ensures we can provide great value, comfort and security. You are welcome to store your belongings or get WiFi for free at our place. Our travel professionals and local experts do all the logistic and operational hard work. We not only take care of the every-day detail of your trip, but will also optimize your time and investment, reducing unnecessary costs, so you get the most of your time off. We will advise you with the most updated and precise information of the new, old, must-see and off-the-beaten track tips. Our commitment is to support low impact travel and give back to the communities involved while traveling. We ask you to leave all trails as you find them… or better… for those after you to enjoy. A scrupulous control of operations and permanent communication allow us to exceed your expectations. We shorten distances and guarantee your total safety fulfilling our commitment to excellence in service. Visit incatrailreservations.com for details of all our adventures.